Kathryn M. Ireland is a maven of materials. In addition to having her own fabric line, she freely and deftly mixes other designers' fabrics as well as international market "finds." Blending those with quality ironwork, wood, tile, and furniture pieces, Ireland pulls together a magnificent home of unpretentious grandeur. This book chronicles the sympathetic restoration of a Wallace Neff-designed estate in Ojai, California, including the home and stables. 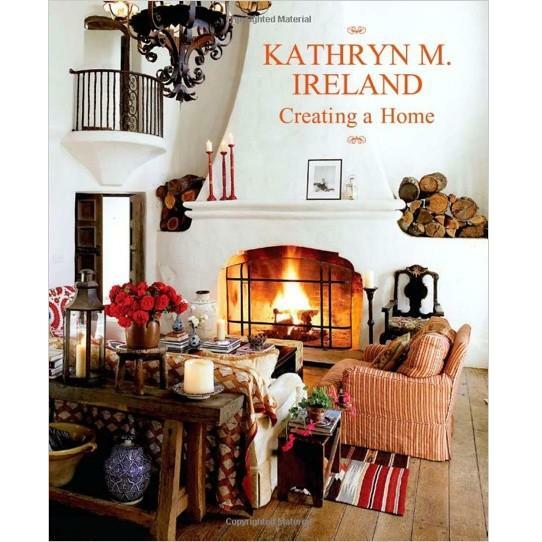 Kathryn M. Ireland creates signature interiors for a distinguished clientele ranging from Hollywood A-listers to English aristocracy and neighbors next door. She divides her time between Santa Monica, California, and Toulouse, France.